Saudi Arabia’s stock market partially recovered early on Monday from steep losses triggered by the disappearance of dissident journalist Jamal Khashoggi, encouraging a modest uptrend throughout the region. The Saudi index, which had tumbled 7.2 percent over the previous two trading days because of concern the Khashoggi case could trigger U.S. sanctions against Riyadh and shrink inflows of foreign investment, rebounded 2.2 percent in the first half-hour on Monday. Petrochemical firms that had led the declines were particularly strong on Monday. The Gulf’s biggest petrochemical producer, Saudi Basic Industries, jumped 4.4 percent. Sahara Petrochemical rose 5.1 percent after saying a unit had started marketing polypropylene made by affiliate Al-Waha Petrochemicals in the region. 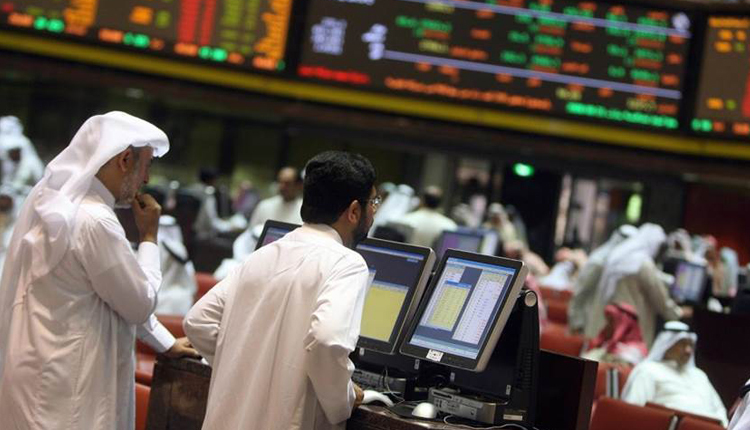 Heavy trading volumes on Sunday showed institutional investors, including foreign ones, were buying stocks at the lows, believing Saudi Arabia’s fundamental economic situation was unlikely to change much because of the crisis over Khashoggi, traders said. Oman’s index fell 0.5 percent after a slew of corporate earnings. Oman Investment & Finance sank 5.3 percent after reporting a drop in its net profit for the nine months ended Sept. 30. Bank Nizwa shed 2.3 percent despite reporting a rise in profit for the same period. The Dubai index, which had lost 1.5 percent on Sunday, was up 0.6 percent on Monday, buoyed by real estate and banks. Dubai Islamic Bank was up 1.8 percent and Emaar Properties rose 1.1 percent.